There’s really no way to put into words what Intersystems was. A non-idiomatic group of individuals who came together to make some of the strangest records ever produced. Eons ahead of their time their work is still impossible to categorize, ahead of the pack by uncountable leagues. They were more than a sound group, but more of an art collection of people unified in total experience. The music of Intersystems isn’t made for CD or digital download formats and it’s not for the on-the-go culture of today. You have to sit with it. Listen and participate in it. These are records-as-art works. They were visual, sculptural, poetic, sound, music, political and very challenging. They still are. These are mind excursions. Drug fueled, psycho-electric-free-floating constructions from their day. At a time when minds were expanding, arts were changing and people were searching for deeper places. from the Alga Marghen Intersystems release package. Restoring the collected works of Intersystems for a definitive vinyl release was an adventure complicated by the rarity of the original vinyl. The original titles, pressed by the Montreal record labels Allied Record Corporation and Pentagon were never mastered for vinyl. The LP’s were treasured by friends and fans of the band, but not widely distributed in the 1960’s. These now go for hundreds, if not thousands of dollars on the collector’s market. Michael Hayden alone preserved his original copies and generously loaned them to create the masters for an earlier CD reissue. Tragically, these were never returned, and may have ended up in a third party collection. Understandably, he was initially reluctant to send his remaining copies off into the mail system to meet an uncertain fate. With the advent of digital audio restoration, a great deal can be done to bring a lost recording back to life. Vinyl can be meticulously de-clicked and ‘crackle’ removed. Spectral noise reduction allows the engineer to separate musical events from surface noise layer by layer. Hum can be analysed and removed at specific frequencies. Great care must be taken, however, to ensure that the algorithms do not wipe program material that appears to be ‘noise’ rather than treating it as a musical artifact. 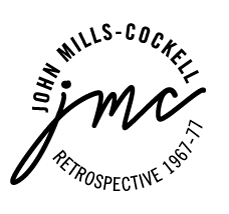 In the case of John Mills-Cockell’s inspired Moog synthesizer, the line between noise and music is admittedly blurred in some places. Domestic self-financed pressings can also make for a challenging original source. Custom pressings manufactured in limited numbers were often squeezed in between larger runs of commercial product. If the staff at the plant were uncaring, a recording could be released with an E” or gain setting for a project that had just been completed. Pressing plants often dealt with the high and low frequencies of electronic music by simply turning down the gain to well below the perceived safety limit, resulting in an unsatisfying final product. We started out working from second or third hand sources under John’s careful direction. These included the Cortical Foundation edition of “Number One Intersystems” reproduced from an Allied Record Corporation LP, an ancient DAT transcription of “Peachy” and a problematic CD of “Free Psychedelic Poster Inside”. In some cases, the original electronics were so badly buried in the noise bed grooves that they were not audible on a turntable. On some of the releases, sustained synthesizer sounds were faded or edited to duck the ambient noise, resulting in oddly truncated tracks. In others, normalization for digital release resulted in the loss of original dynamics. In many instances, including the original pressings, it also appeared that best guesses had been made at the proper start and ending point of some of the tracks. Vinyl markings did not coincide with the beginning or end of tracks. Titles assigned in some cases deviated from the original program notes. We have sought to restore these where possible, together with the original intended track names. Over the following months, patience was rewarded, and we found fresher and better sources to work from. We ended up throwing away months of painstaking work to begin from scratch when better copies of the originals were located. original vinyl of the rare “Number One Intersystems”. The audio quality compared to the reissue was gratifying. A mint copy of “Peachy” was discovered, un-played, in the National Archives of Canada. Finally, against all odds, a ‘safety’ reel-to-reel tape of “Free Psychedelic Poster Inside” (see image 21.3) was forwarded by Tom Recchion, given us our cleanest shot at a real master. The tapes were lovingly transferred by Bob Doidge on the vintage MCI two track machine at Grant Avenue Studio. John Mills-Cockell and Michael Hayden went painstakingly through the original titles to ensure that the original intended playlists could be established. Past errors in timing and nomenclature were corrected. John lovingly tweaked the restored audio until it met his demanding standards. The end result will hopefully not only be true to the original, but much closer to the source material than has ever been possible. We hope that the result will be a definitive archival record of this important project. More than a historic artifact, the reissues will allow modern listeners to hear Intersystems as the albums were meant to be enjoyed – in lovely living stereo vinyl!